This ice cream recipe is so easy and yummy to make. It uses only 3 ingredients which are easily available at every home. Put 2 cream packs in a bowl n whip till you get soft peaks. Once you got soft peaks add 3/4 of condensed milk can. Mix well till its thickened. 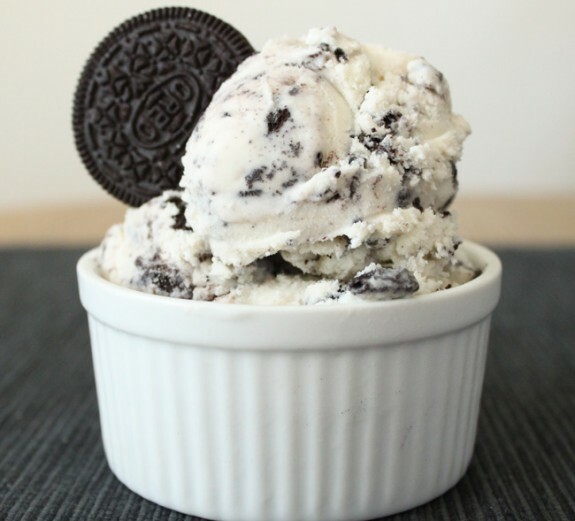 Crush oreo biscuits n put it in a mixture. Mix well n pour into a bowl. Freeze for 6 hours. Take it out after 6 hours and its ready to eat.